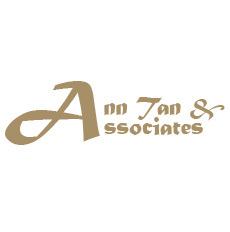 Ann Tan & Associates legal practice started in 1984. The firm is headed by Dr. Anamah Tan who was called to the Bar in 1963. Besides advancing the rights and status of women in Singapore, Asia and Internationally, Dr. Anamah Tan has close to 53 years of extensive experience in Family Law practice. She is an Accredited Mediator and is an appointed Child Representative by the Family Justice Courts of Singapore. Dr Anamah Tan is also a member of the International Academy of Family Lawyers (“IAFL”). Under the leadership of Dr. Anamah Tan, Ann Tan & Associates has a pool of talented Family Lawyers, together with our experienced support team, we are able to better serve the needs of our clients. At Ann Tan & Associates, our clients will be given an honest appraisal of the legal issues involved in their matters and we will offer our clients realistic solutions. As we understand and care for our clients, realism and flexibility are the cornerstones of our practice. In recognising our valued clients come from diverse backgrounds with differing financial means, we have flexible and affordable financial schemes to assist our clients, without compromising our quality and professionalism towards our client’s matters. As at Ann Tan & Associates, YOUR FAMILY MATTERS.